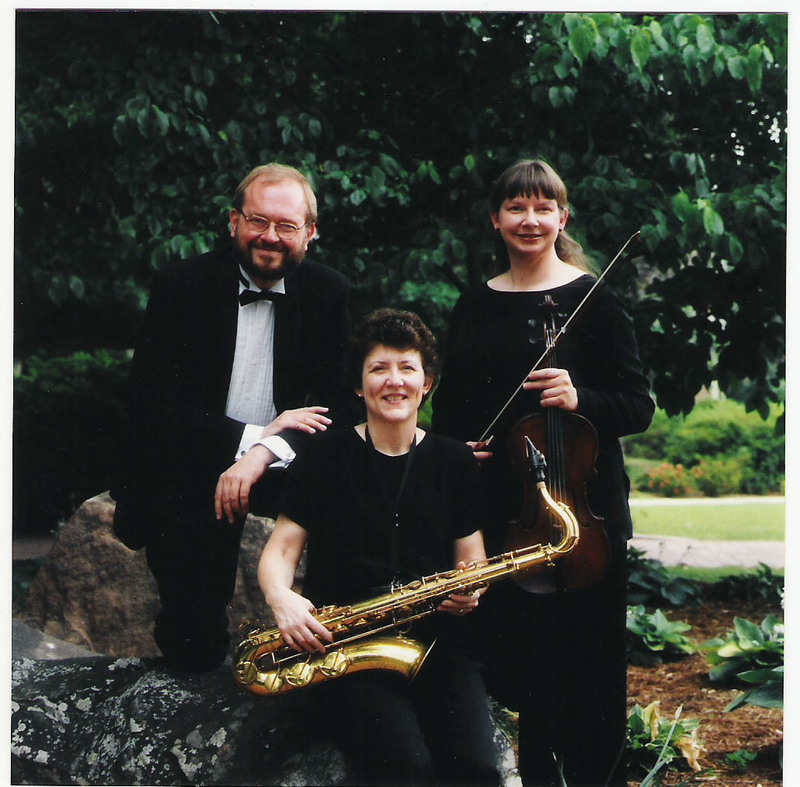 Feb. 28, 2006 -- The Department of Music at Ar kansas State University in Jonesboro will present the ensemble Cross-Town Trio in concert Wednesday, March 8, at 7:30 p.m. in the Fine Arts Center Recital Hall. 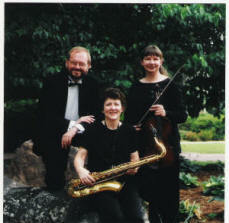 As a chamber music ensemble, trio formed the group in 2000 in response to the theme of the World Saxophone Congress XII held in Montreal, Canada. Dr. Karen Griebling, viola, and Dr John Krebs, piano, both teach at Hendrix College in Conway and Dr. Jackie Lamar, saxophone, teaches at the University of Central Arkansas in Conway. Dr. Griebling, professor of music, has taught at Hendrix since the fall of 1987. She holds degrees the University of Texas, the University of Houston, and the Eastman School of Music in Rochester, N.Y. As a violist, she is currently a member of the Arkansas Symphony Orchestra. Her composition teachers have included Joseph Schwantner, Samuel Adler, Warren Benson, Michael Horvit, and Donald Grantham. Dr. Griebling was selected Ohio Music Teachers’ Association Composer of the Year in 1987 and received an Artist’s Fellowship Grant from the Arkansas Arts Council in 1993. Dr. Griebling is a BMI Composer. She has composed several works for saxophone commissioned by Jackie Lamar, including “Postcards from London,” premiered at World Saxophone Congress XI, and “Petroglyph Dances Series II,” premiered at World Saxophone Congress XII. Her catalog includes a great deal of chamber music for viola in addition to opera, lieder, ballet, orchestral, and choral works. Dr. Lamar is professor of music at UCA where she teaches saxophone and conducts jazz and saxophone ensembles. She holds a doctorate of musical arts and a master’s degree from the University of North Texas, and a bachelor’s degree from UCA. Her principal teachers have been Debra Richtmeyer, Jim Riggs, and Homer Brown. Dr. Krebs is currently associate professor of music at Hendrix. He holds degrees from the University of Maryland, the University of Illinois and Northwestern University. A versatile solo and chamber pianist, Dr. Krebs has performed frequently in the southeast region. He is active in the College Music Society and numerous other organizations. He has been selected to serve as both a regional and national accompanist for the Music Teachers National Association competitions. His awards include a Fullbright Grant for study in Freiburg, Germany at the Staatliche Hochshule fur Musik. This concert is free and open to the public. For more details, please call the Department of Music at 870-972-2094.